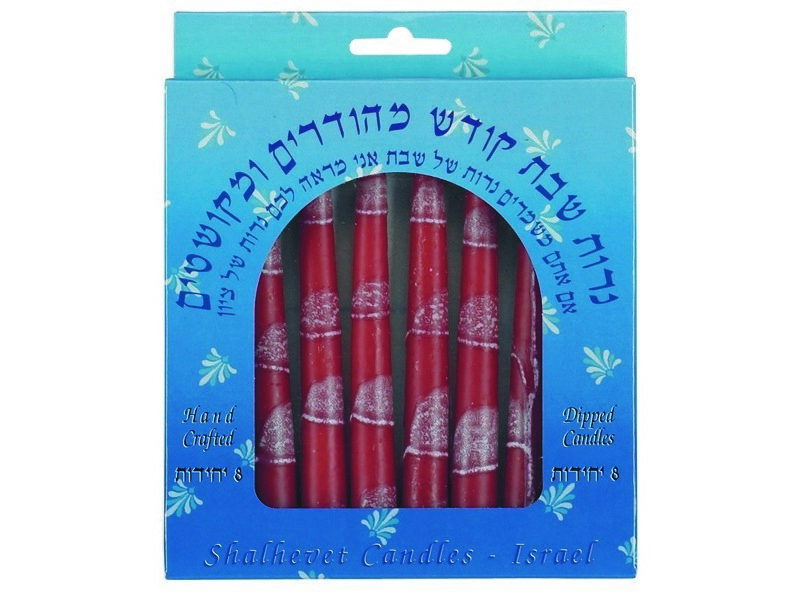 This set of eight Shabbat candles will beautify any Shabbat or holiday table. Candles are traditionally lit before sundown on Friday evening. Lit candles create a soft and peaceful atmosphere and symbolize the light of Shabbat. These colorful red candles are hand dipped and crafted in Israel.